Tomorrow is Vegetarian Day, so I thought it would be appropriate to make Green Bean Crunchie veggie treats to celebrate #FuzzFriday. Annie, however, who is not fond of veggies was not happy. 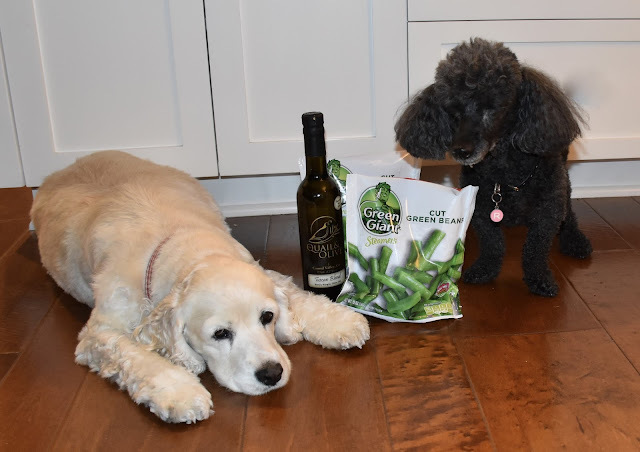 But I told Annie it is a nice tribute to Fuzz to celebrate with Green Beans. After all it is his namesake day and he used to eat them by the Costco case full. Fuzz even blogged about it. 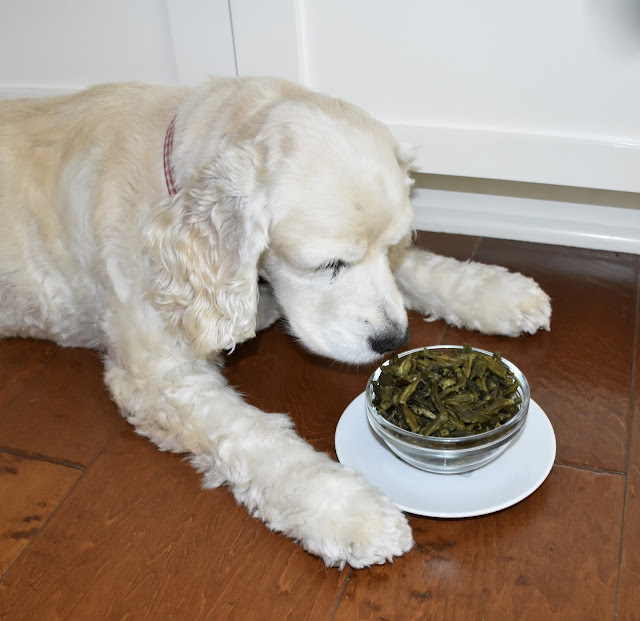 So when served, Annie sniffed the freshly made Green Bean Crunchies and was not at all enthused. She barked that she had a better idea. 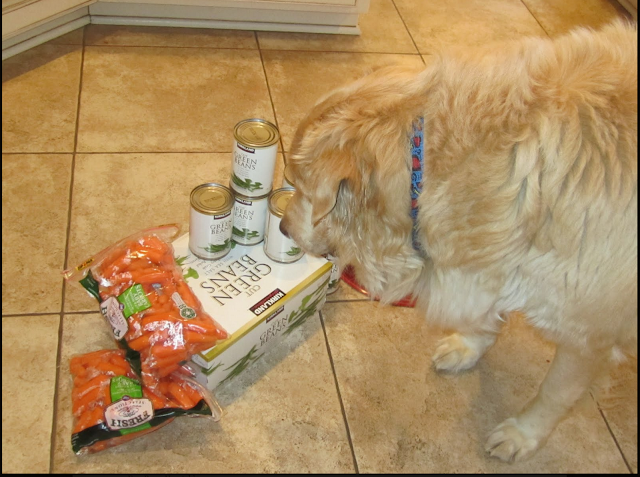 Annie understood that Fuzz liked carrots too. 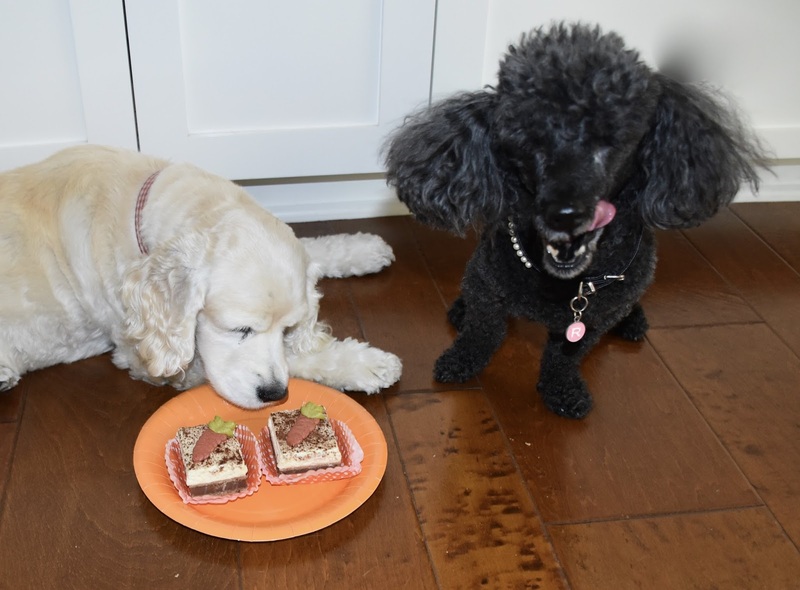 So she decided that Carrot Cake from Three Dog Bakery was a much better #FuzzFriday veggie treat. What a fab idea Annie! I did like the Green Bean Crunchies- and so did Mommy! Happy #FuzzFriday! RosyPoodleKisses! Oh that is so nice that you celebrate #FuzzFriday regularly! Fuzz had green beans in his food too to make him feel like he was getting lots of food! Annie wont go near anything green. I don't mind green food, just not my fave! Happy #FuzzFriday!! RosyPoodleKisses! Hmmm, can't say I'd like a bowl full of veges either. But, I'm a cat and we prefer meat! I guess veges is a good thing for you doggies tho. OMP! Mario! SO nice to see you! Annie doesn't like any veggies, they are not my fave either. You do like catnip, don't you? RosyPoodleKisses!